We hear the term “coinsurance” tossed around all the time, but what does it actually mean? Even when it’s working exactly as it’s supposed to, the world of health insurance can be murky and overwhelming. Consumers today are faced with a sea of options, which often leads to confusion and the unpleasant surprise of hidden costs somewhere down the road. Most people operate under the assumption that once they fulfill their out-of-pocket deductible, their insurance company will step in and cover any additional costs. Unfortunately, the system isn’t always so simple. As Blue Cross Blue Shield explains, coinsurance represents the percentage of total healthcare costs that you as an individual are expected to pay out-of-pocket. This concept, often referred to as percentage participation, mitigates the risk for the insurance company by requiring the individual to share a piece of the post-deductible costs, according to HowStuffWorks. Understanding coinsurance requires an explanation of its role within the cost sharing system. Other methods of cost sharing include deductibles and co-pays, and all three terms are often — and incorrectly — used interchangeably with one another. Co-pays are fixed amounts that an individual is required to pay at the time of a doctor’s visit or prescription pick-up. A coinsurance payment, by contrast, is a percentage of a given doctor or pharmacy’s overall fees, meaning that the out-of-pocket expense can vary. A deductible is also a fixed payment, but one that an individual must pay out-of-pocket before the insurance company will step in to cover any healthcare costs whatsoever. 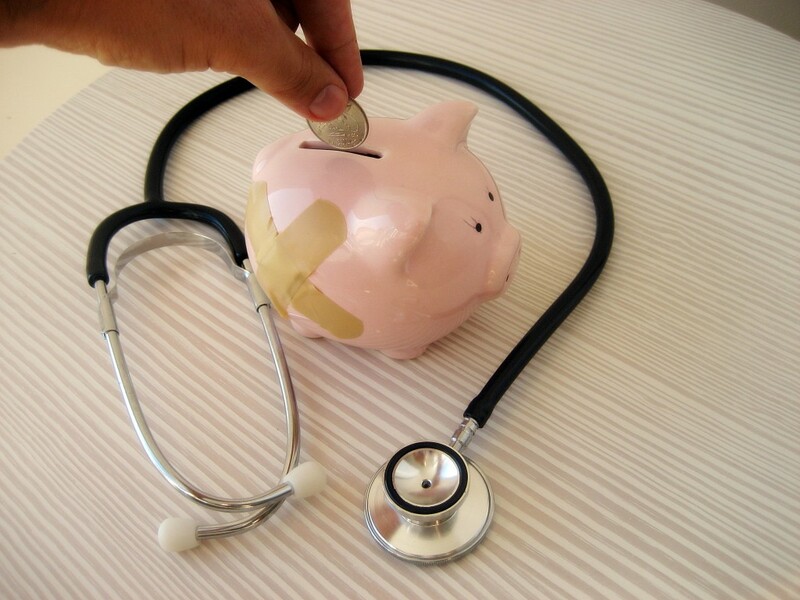 Coinsurance goes into effect after the deductible has been met. For example, if you’re paying $5,000 for a hospital visit, your plan may have a 20% coinsurance and a $1,000 annual deductible. In this case, you’d have already paid the $1,000 deductible at the beginning of the year, and you’d pay for the hospital visit with $1,000 of your money. The broad concept of coinsurance is fairly simple. After your deductible has been met, your insurance company will cover a certain percentage of the overall cost of each visit, leaving you responsible for the remainder. For example, let’s say you have a $1,000 procedure and your insurance covers 90% of the overall cost. Your coinsurance is 10%, which in this case is $100. But things get more complicated from there. Insurance companies will often set up higher coinsurance rates for services that fall outside of their network — that is, services that are performed by medical professionals who don’t have a contract with your provider. An in-network coinsurance rate of 10% often jumps to 30% or 40% for an out-of-network doctor or prescription. What’s more, if the fee for the service provided was higher than what an in-network doctor would charge, the individual will often have to make up the difference in cost. For many, choosing a healthcare policy can be something of a gamble. People often choose plans with high deductibles because of the low monthly premiums, but find themselves in serious financial trouble when unexpected medical emergencies arise. The key to healthcare happiness is transparency. Many healthcare giants sell blanket policies that put you on the hook for a wide range of services, whether you use all of them or not. With forward-thinking insurance alternatives like SingleCare, members only pay for the services they use at a highly discounted rate. What’s more, members never have to worry about coinsurance or excess payments because all of the providers within SingleCare’s extensive network participate in a built-in, fixed payment system. That means you can see exactly what you owe up front, so you can rest a little easier knowing you won’t be getting that unexpected bill several months down the line.